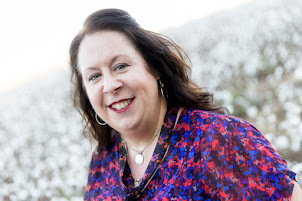 I originally shared these ideas in my weekly newsletter, but I wanted to share these festive ideas beyond my subscribers. I always start my decorating with my Christmas tree. Everything else seems to hum around its twinkling lights and color scheme. Buffalo plaid is current favorite of mine and it feels very "campish". A red and black plaid tree skirt can set the tone for your camping theme. This fun skirt has pom-pom fringe along the edges for a nice detail. Add some red kerosene lantern lights to add to your camping decor. You could add multiple strings or a two or three strategically placed on the tree. These would also work well for garland. Add some camping style ornaments to your tree. 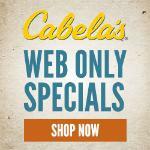 There are some many to choose from that you could find one to almost match any camper style. 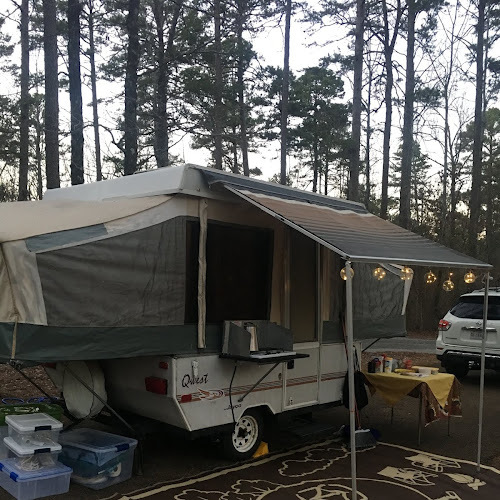 I am particularly fond of pop up campers since this is what we own. However, I'm also in love with retro campers of all kinds. Even though we don't own one, I love them for them for decorating. It may the only one I'll ever have. And for tent campers, you could add a dome tent ornament. We have collected several camping ornaments over the past couple of years, and each one adds a unique touch to my tree. 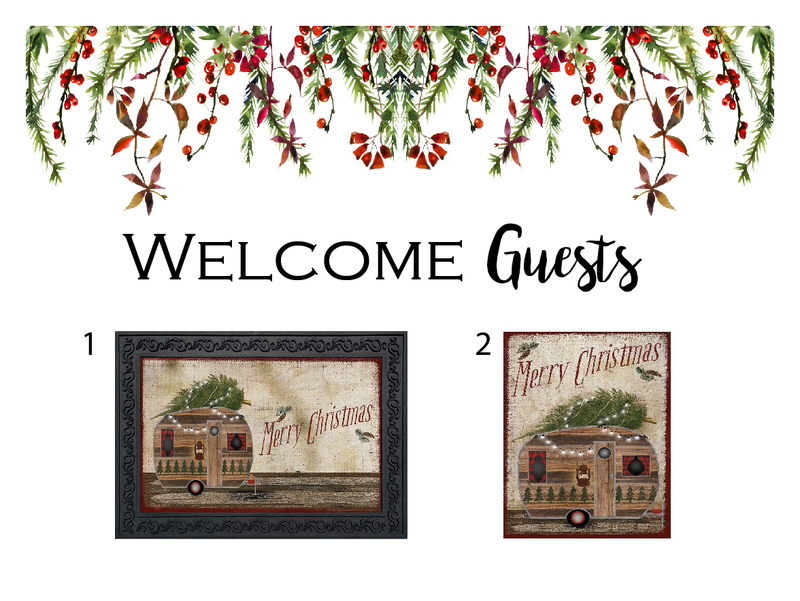 Continue with the Buffalo Plaid throughout your home with a table runner to match your tree skirt. You could even add some accent pillows in the same plaid. One of the things about the red and white plaid is that it works well with burlap and lots of other popular and accessible fabrics and trims. Next, add a red lantern to a table for color and camping flair. I am also a fan of adding little campers like this lighted one with a tree on top. All of these pieces add color and can be combined with pieces you already have. 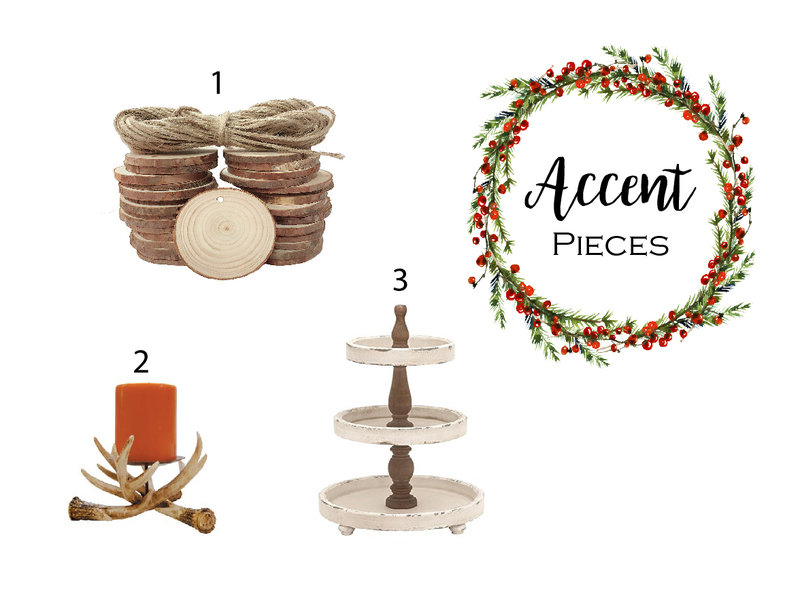 Once you get started decorating, I like to pick up accent pieces to scatter on tables and places throughout my home. These wooden disks tie in perfectly to a camping theme. And they can be a fun project for little hands of all ages. They could be strung up plain. But you could also add camper sayings, a favorite camping memory or campground on each one. An antler candle holder works well with the plaid and camping theme. Be sure to top your candle holder with something that smells Christmas-like such as evergreen, vanilla or some type of cinnamon like spice. I'm also a big fan of the Fireside Woodwick candles since they remind me of a campfire. Now add some height to any surface with a tiered tray. This farmhouse design works well with a camping theme. Fill each tier with a mixture of twine balls, small evergreen plans (live or plastic), little Santas, campers or trucks. 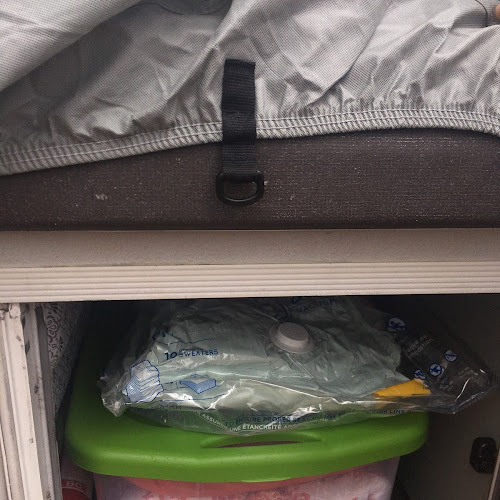 Get creative and layer fun knick-knacks into these crevices. The last component of Christmas decor is what you place outside. I'm not a big fan of blow up creatures in the yard. However, I have recently become a fan of seasonal flags and door mats. Briarwood Lane has a door mat tray that you can fill with seasonal door mat centers throughout the year. 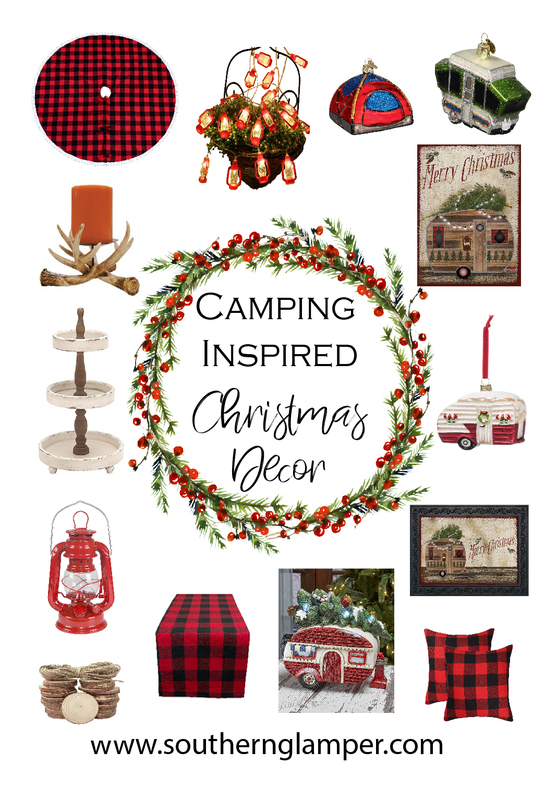 This Christmas Camper mat works perfectly with these items since it has buffalo plaid curtains and a red lantern. This coordinating yard flag displays the same Christmas camper. You can even get a mailbox cover if you want to go all out! 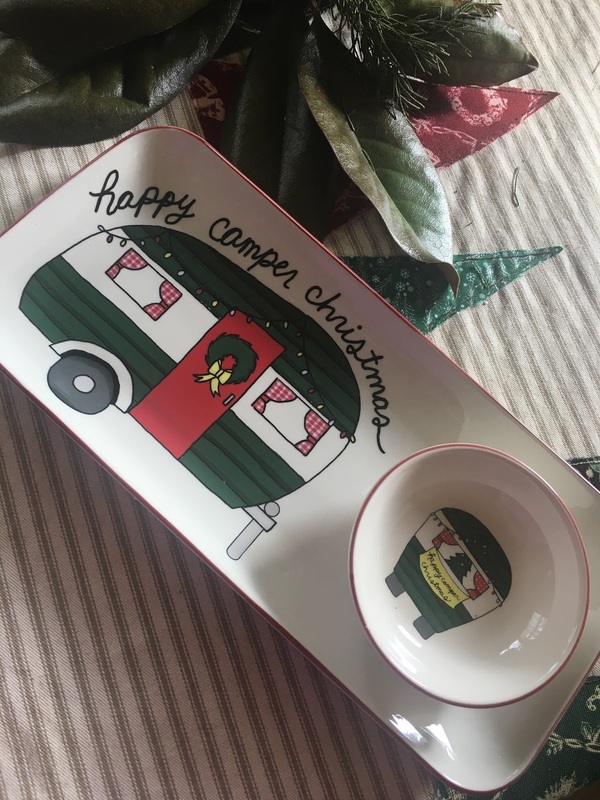 Are you incorporating a camper theme into your Christmas decor this year? Bring a little of the campground to your living room this year with style. Start with some buffalo plaid that is cheery and bright. You can easily incorporate this into decor you already have for a new look this holiday season! 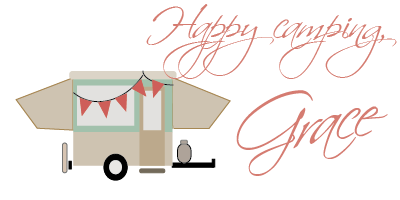 If you are decorating with campers this year, I'd love for you to share them. 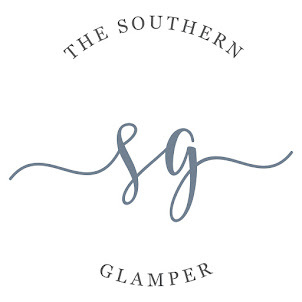 Be sure to tag me on social media at #southernglamper.